Thanks Delco Deals Diva for Donating! A great local blogger has just donated back to school items to PathWays PA with help from Gutzy Gear and Madame Deals Media! Read more about the donation on her blog, Delco Deals Diva. The US Department of Agriculture will be hosting a live twitter chat with USDA Deputy Under Secretary for Food, Nutrition and Consumer Services, Dr. Janey Thornton, at 1 PM today, August 29th. Dr. Thornton will answer questions about school lunches and nutrition in response to the implementation of the Healthy, Hunger Free Kid's Act. The law will increase the availability of whole grains, fruits, and vegetables in children's lunches this school year. Before following the twitter chat, check out the USDA's "School Lunches Just got Healthier" toolkit, which contains more information about the Healthy, Hunger Free Kids Act. To participate in the twitter chat, use the hashtag #AskUSDA or follow @USDA. Stand Together and Protect the Right To Vote! The Commonwealth has announced that starting the week of August 27th, Pennsylvania residents who are unable to obtain the necessary documentation for a standard PennDOT ID will be able to request a free Department of State photo ID card for voting purposes only at any PennDOT Driver’s License Center. 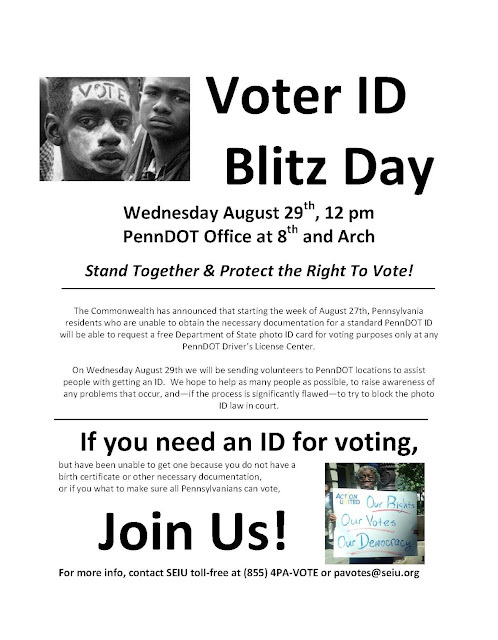 On Wednesday August 29th we will be sending volunteers to PennDOT locations to assist people with getting an ID. We hope to help as many people as possible, to raise awareness of any problems that occur, and—if the process is significantly flawed—to try to block the photo ID law in court. During the Election Season, PathWays PA will send out a special email with important updates and services as we learn of them. 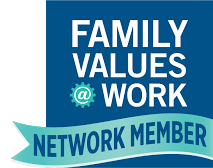 If you have a service or issue you would like us to discuss, please let us know by email at policy@pathwayspa.org. For those of you who are interested in learning more about helping your clients register to vote, you may want to learn more about tomorrow's webinar from the Better Choices Coalition. The Pennsylvania Health Access Network, Maternity Care Coalition, the Pennsylvania Budget and Policy Center, the Pennsylvania Health Law Project, Community Legal Services, the Lutheran Advocacy Ministry of Pennsylvania, the Philadelphia Unemployment Project, Resources for Human Development Inc, Consumer Health Coalition, and SEIU Healthcare PA would like to invite you to a strategy meeting about Medicaid expansion under the ACA. Interested in helping your clients or consumers register and vote, but not sure how to get started? Uncertain about the guidelines for 501(c)3 organizations interested in doing civic engagement work? Help has arrived! Since many children in lower-income families acquire their sustenance from school meals during the year, the summer can be a difficult time for these children to get the food that they need. In some families, breakfast and lunch at school are the only meals that kids get to eat in a day, prompting some organizations such as Feeding America to start BackPack Programs to send children home with food to eat for dinner. This summer, Angela Prattis has been attempting to alleviate this problem by distributing free meals (provided by the Archdiocese of Philadelphia) out of her driveway. However, she is facing fines of $600 a day from Chester Township officials for every day that she has fed the kids. Township officials state that the violation resulted from conducting commercial activities in a residential zone. To continue, she has been asked to request a zoning variance which costs about $1,000. I cried, and I don’t mean the quiet, almost elegant tears that trickle down an athlete’s face on a medal stand; these tears were messy, but were filled with pride and hope. As I watched Wojdan Ali Seraj Abdulrahim Shaherkani, the first female athlete from Saudi Arabia to compete in the Olympics, take a hesitant step onto the mat, I felt my whole being screaming “you go girl!” And yes, I know it is a cliché, but I couldn’t help myself. 82 seconds later, the 16 year old Shaherkani had been defeated in her elimination judo match, and was bombarded by reporters clamoring for her attention. An 82 second judo loss is not usually a noteworthy feat, but the political, social, and cultural implications of Shaherkani’s competition reach far beyond her scores and skill as a judoka. From our friends at Vote for Homes! In response to questions from community allies like yourselves, the Philadelphia Housing Authority are hosting two information sessions/trainings on its program, policies, and procedures. From our friends at CLASP. Sequestration was created in August 2011 as part of the Budget Control Act of 2011, which ended the showdown over raising the federal debt ceiling. Because Congress failed to come up with a deficit reduction plan, the Budget Control Act calls for $1.2 trillion in automatic spending cuts over the next decade. Unless Congress acts to create a balanced package that includes budget savings and increased revenues, these cuts will hit families hard. The Social Security Administration is conducting a free seminar for disability advocates, social services workers, congressional staffers, attorneys and other professionals who work with the disability community in Philadelphia. Anatomy of a Disability Claim will focus on the Social Security and SSI disability benefit programs, eligibility factors and the application process. For more information, email Richard Gaudiosi or call 1-866-964-7397, ext. 22429. Homeowners in Philadelphia will now be able to save money on their real estate taxes thanks to legislation passed by the City of Philadelphia providing a Homestead Exemption to all Philadelphia homeowners. Because the Actual Value Initiative, which will make massive changes to the real estate tax system, will not be implemented until next year, the deadline for the Homestead Exemption has been extended to November 15th. A Homestead Exemption means that if you own your home, you can qualify for a reduction of your home's reassessment, and therefore reduce your tax bill. There are no age or income restrictions and all homeowners in the city are encouraged to apply. Congress has been working on the reauthorization of the Farm Bill, which includes funding for the food stamp, or SNAP, program. The House Agricultural Committee passed a bill out of Committee that cuts $16 billion from the program. If that bill becomes law 2 to 3 million people would lose their food assistance and 280 million children would no longer qualify for free school lunches. This at a time when in the United States 1 out of every 7 and in Philadelphia 1 out of every 4 people are struggling with hunger. Congress left for the August recess without coming to agreement on a Farm Bill. The current 5-year bill is set to expire on September 30th. That leaves the SNAP funding and other farm programs unresolved until Congress returns in September. If you support funding for SNAP there is still time to contact your legislators and urge them not to cut these important programs. Applications for the Homeowners Emergency Mortgage Assistance Program (HEMAP) are now being accepted. The HEMAP program is officially back in business as of today! Thanks to the efforts of many advocates and homeowners the Homeowners Emergency Mortgage Assistance Program has been restored in Pennsylvania. Funding has come from the National Mortgage Settlement which resulted from the law suit by the state Attorney's General against the largest mortgage banks. 90% of the $66 million coming to PA is targeted for HEMAP over the next five years. To apply you can contact non-profit housing counseling agencies throughout Pennsylvania. Click here to find an agency near you. From our friends at the Philadelphia Unemployment Project. Last week House and Senate leaders announced that a deal has been reached to pass a 6-month continuing resolution to fund the federal government through next spring. Details of the agreement have not yet been made public, but the continuing resolution will reportedly fund federal agencies at current spending levels. With both chambers of Congress on summer recess, a vote on the agreement will likely be held in September, before the end of the fiscal year. If this agreement is enacted it will ensure that the government will not be shutdown at the end of September when the current spending plan ends.